This is a scrap friendly quilt pattern! 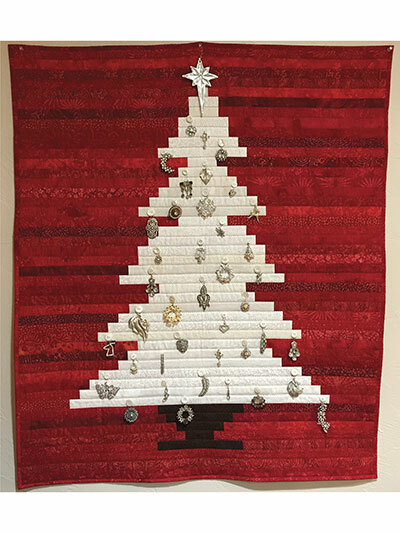 Trees can be decorated with any small Christmas ornaments, vintage jewelry, handmade ornaments, button,or lace. 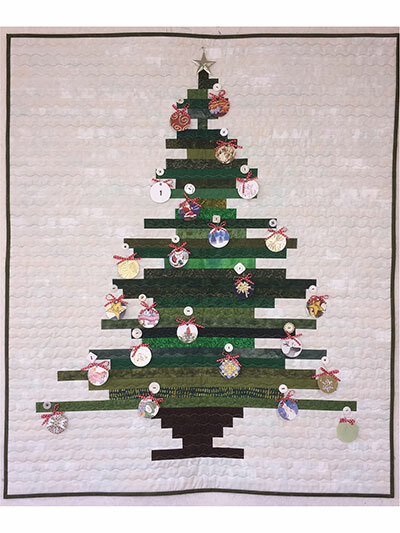 The quilt would also make a lovely advent calendar. Finished size; 37" x 45". Easy to follow instructions. Only my 3rd quilt ever, and this is easy enough for beginners. I made the green and white pattern but used the red and white color scheme. Used 6 different dark red patterns and 5 different cream patterns. Mostly tone on tone with only slight variation. Added interest but didn't get too "wild". Turned out beautifully and it is at the custom quilters now. Can't wait to get it back! !